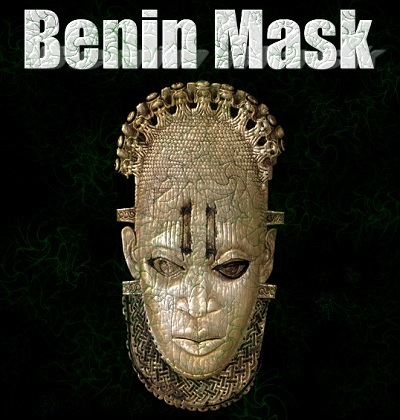 Benin The Bronze City - Culture and Resources - Haba Naija! Benin is known as the heart beat of Nigeria and the city itself during the ancient era was ruled by the Ogosis who were also called the “Kings Of The Sky”. Lots of foreign merchants explored the rich culture of the bronze city, taking away many valuable artifacts with them to foreign lands,which are gradually being restore back to their National Museum. Benin inhabitants are very known for their very beautiful Bronze sculptures, the arts and crafts. The city is known to be one of the largest host of their numerous esoteric festivals which is usually held annually to celebrate various cultural occasions. Which is a numerous attraction to tourist and curious foreigner who are fascinated by the distinct art and culture. The major attractions in Benin City includes the National Museum of Benin, the Igun street which is famous for their metal works and beautiful bronze casting known to be centuries old,and also the historical Oba’s Palace.Benin is also known to have one of the oldest Monarchy in the world. The most popular festival celebrated in Benin out of other numerous festival , is the distinct Igue festival. This festival fully involves the Oba of Benin and celebrates the cultural heritage of the people. This festival is usually celebrated between Christmas and New Year. The People who mostly inhabit Benin are predominantly Edo speaking people. Their cultural and traditional pattern are basically identical as most of the people trace their roots to the ancient Benin Kingdom. The major tribes of Benin are the Binis other minority tribes are the Ishan, the Estakos, the Owans and the Akoko Edos. The entire tribes combined their creative ability during historic times to create marvellous historical artefacts; Terracotta, brass, bronze and valuable Ivory works which were curiously explored by the British and Portuguese expedition in the late 1890’s. Guilds of Bronze and Wood Casters still maintain their ancient traditional heritage and are still fully in operation at Igun Street, Igbesanawan Benin city. These bronze casters are officially known as the igun bronze casters. Their work is extremely secretive and foreigners have found it very difficult to penetrate the mysteries surrounding this guild. The Bronze casters are all related by a common ancestry descendant of Ine Nigun but the actual origin of Bronze casting itself is still a subject of debate and very difficult to establish. This is an important attraction and a pride heritage of the Benin people which is feared to be going extinct due to the constant operation of human activities around the Moat. The Moat is believed to be as old as the 16th century which the Benin people used as a protective barricade, to hinder invasions during times of war ,therefore protecting them and preventing the city neighbours from gaining access. The Oba’s palace is surrounded by ancient marvelous work of arts which is believed to be dated back to the 10th century. It is located centrally at the King’s Square popularly known as Ring road. The first palace was built by Oba Ewedo at about 1255 AD. The Oba’s palace is regarded as Benin’s greatest heritage due to its timeless and priceless collection of arts, ivory shrines, and scriptural pieces dating back to many centuries. Christianity, Islam and the Benin traditional religion are practised by the Binis and other minority tribes. The traditional religion is slowly giving way to the orthodox Christian religion which was introduced by the Portuguese missionaries who established churches in the Kingdom. The monarchy of Benin leads the church in the Kingdom. The priests are called the Ohen-Osa and answer to the Monarch. This type of worship practised is a mixture of traditional beliefs and Roman Catholic Principles. Benin is blessed with important resources that are of abundant commercial value to its inhabitants. The major natural resources are : ivory, rubber and palm oil. These resources were highly enjoyed by the British and largely under colonial control until Nigeria gained her independence automatically giving control of the natural resources to the Benin people. Agriculture is obviously the major occupation of the local inhabitants. The main crops produced are usually of commercial quantity which are :Yam, rice, cassava, plantain, guinea corn, with lots of fruits and vegetables. The predominant mineral resources that are explored and mined in this rich geographical zone are marbles, limestone, natural gas , crude oil, chalk, and clay. All these mineral resources are produced in reasonable commercial quantity which are invested back into the Benin people for self development. There is the question of the origins of the Edo people, some myth said they are descended from Oduduwa like the Yorubas but some Edo myth said it the other way around, the Yoruba’s descended from the Edo people. the Benin culture is very diverse , and they share bits of relationship in terms of their origin with neighbouring states. 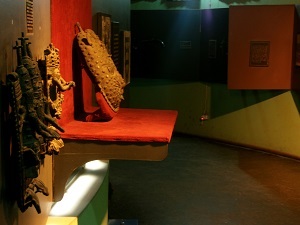 out of the major Nigerian states reputed to be very preservative,Benin tops the ranks as they have managed to preserve their cultural heritage for centuries long. was the son of lamurudu who was killed in mecca during islamic jihad.He had no choice than to live the city and wondered through egypt,gulf of aden and passed through sudan,chad,northern borno.He reached Bussa in niger and crossed the river niger until he finally get to an unhabited forest where he later called ile-ife (home of dwelling).Many followed him on the way and he had many wives and seven children who later established their own fortresses in various kingdoms such as alake of egba,alaketu of ketu,onisabe of sabe,onipopo of popo,owa obokun of ijesha,oranmiyan of oyo,ooni of ife and olowu of owu.Any other first class oba in yorubaland that is not mentioned was established by the oyo empire.Oranmiyan being the last born left ife and went to benin where he became the first oba but left in annoyance later due to some pronounced differences where he called ile ibinu(land of anger in yoruba).Thereafter,the name benin emerged after various mixing by itsekiris,urhobo and portuguese.He returned to ile-ife but decided leaving sooner to avenge his grandfather killing and revive yoruba ifa religion in mecca but he failed due to unclear ways to the destination and stopped at borgu where he meet some elders and they presented him a calabash and snake.The elders instructed him to hang the snake round his neck and followed the directions the snake points to and wherever it disappeared is the destination to carry out the revenge according to their beliefs.Oranmiyan did not hesitate to follow the instructions due to his focus on revenge mission but unfortunately,the snake disappeared at a place in woodland savannah where their is no evidence of islamic activities and finally gave up on his mission.He named the place oyo and automatically became the first alaafin of oyo.Due to old age,he left oyo and went back to ile-ife after installing his first son ajaka as the second alaafin.In ife,the benin elders paid him a visit and pleaded for his return to become their king after the demise of his rival but he declined and told them to install his son owomika(eweka) as their next oba because he remembered he impregnated a benin woman erhimwinde on his way back to ile ife and that is how benin became yoruba ally. Some commentators, including Professors of History in the South-west zone have granted interviews accusing the Benin monarch of looking for and courting cheap popularity and playing politics. Unless they have been wrongly reported or misquoted, their comments smack of intolerance and illibralism, particularly as they emanated from members of the Ivory Tower and their History Departments that are supposed to be centres of excellence in the Liberal Arts and the humane disciplines in the universities. The Benin monarch was writing his Autobiography and where else should he be telling his readers and the public who his ancestors were and who they were not, I take my stand with His Royal Highness, the Oba of Lagos, who has maintained that Omo N’Oba is in the right. Every person, however highly or lowly placed, has a right to tell the public in his autobiography, who his ancestors were and who they are were not, and he or she is to be believed until the contrary is conclusively established. That is my understanding of the contribution made by the Oba of Lagos, Oba Rilwan Akiolu, during his response to a question put to him on the matter. That response was objective, principled and dignified.